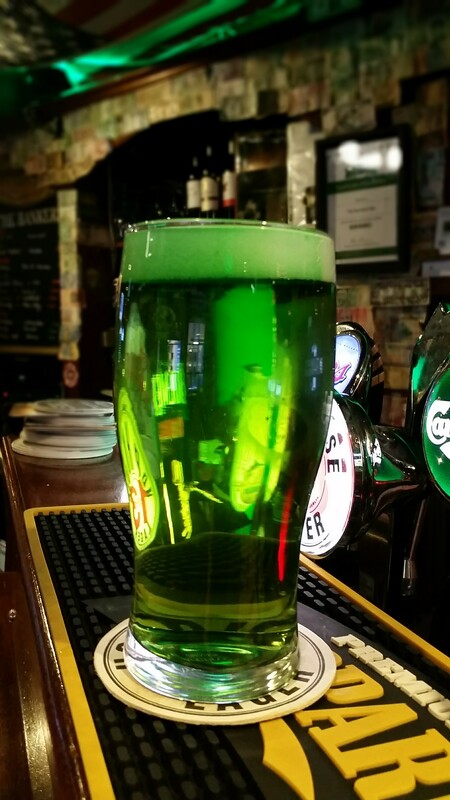 You’ve got your shamrock shakes, you’ve got your dying of the Liffey, but have you got a green pint to celebrate with on Paddys day? 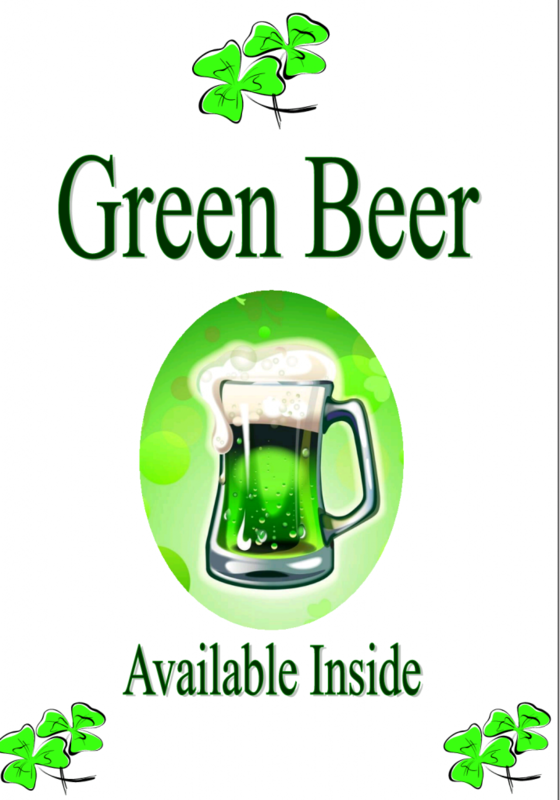 The Bankers bar on Dame Lane have been offering pints of green lager on Paddys day and the lead up for a few years now. It’s always been wildly popular, and not just with visiting tourists. It’s a small enough bar, but that can have a charm of its own. They’ve also recently renovated upstairs into the new ‘Teller room’ dining area, which is very nice. We asked what causes the colouring of the beer and were told, “It’s a secret”. So, it’s probably food colouring. And just to clarify, that response was a joke, and not because they’re afraid of what people might think of it! It’s perfectly harmless. The Dame Lane area is always one of the most popular parts of the city on days like this, with the lane densely packed with revelers from around the world. There’s always a fun atmosphere that is very much encouraged by the bars and the Dame District group. No doubt it’ll be the type of thing that if one person sees another with green beer in the lane, they’ll ask where they got it, and the trend will balloon. What does Publin think about this gimmick? It’s a bit of fun, it doesn’t alter the taste, and if you can’t indulge in some Paddywhackery on this day, then when can you? Although, I can’t see this working on a pint of Guinness.